The gako unguator Varionozzle 1, 2, 4 mm are inserted into the central opening of the lid. 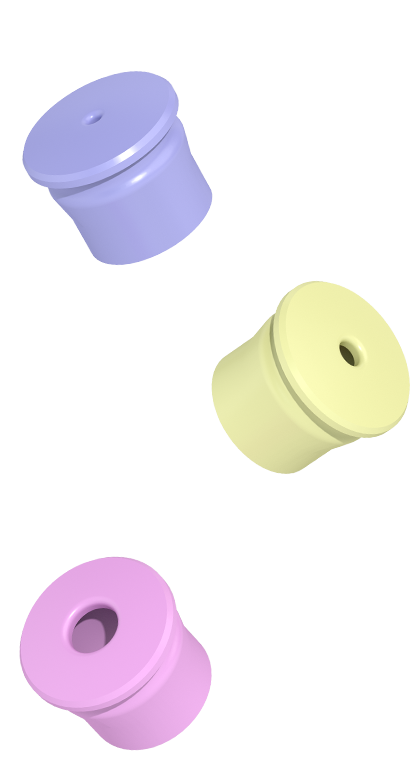 They reduce the opening of the gako unguator jars from 9 mm to 1, 2 and 4 mm. The domed shape offers the smooth application of the product over the skin. This allows for accurate dispensing of all, high to low, viscosity preparations.